Where is Annapurna Circuit Trek? Annapurna Circuit Trek is in the western region of Nepal, circling around the valleys of Annapurna Mountain Range. The trek starts from Lamjung and ends at Gandhaki region. Beginning with the river Marsyangdi and ends with the river Kali Gandhaki. Most of the time the trek is following the river banks as it is the part of that valley too. On the river Marsyangdi side the trail is frequently crossing both sides of the river via suspension bridges depending on the landslides, human settlements and hydroelectric power plants. Here is the full trail map of Annapurna Circuit Trek. What is the difference between Annapurna Circuit Trek and Annapurna Basecamp Trek? Why Annapurna Circuit Trek? Why not Everest Base Camp Trek? The pros and cons will be an endless list if we compare both of this trek but there are few key issue that differs them and it’s up to the trekkers to decide which trek they should choose. If it’s the first time for anyone who is up to ascend beyond 3500m altitude mark, then Annapurna Circuit Trek is the most ideal for them. Because it has lots of T-hosue . lodges and jeep trail till Manang. Trekkers are on this trail all the year round plus Yak and Meul train with supply almost occupy this trail all the time. Which means that it’s safe and comfortable for beginners and moderate trekkers. It also has the natural diversity and the highest point of this trek Thorong La pass is even slightly higher than the Everest Base camp. The downside of the Everest Base camp Trek is time and money. The trek starts from Namche Bazar but to reach there you must take a Flight from Kathmandu to Lukla and then another day and half to trek to Namche bazar. The thing is that it’s hard to get those flight tickets instantly, they must be booked even months before and it’s really expensive in general like $350+ US dollars and why not? It’s the most dangerous airport of the world. And why all these Hustle? To see the Everest Range and it worth it in every means. One can also trek EBC via jeep ride and trekking. Else you can also take the jeep from Kathmandu to Sallery and then trek to Namche bazar and that will take least 5/6 days to reach Namche bazar from Kathmandu by road which means you have to add 12 days to get there and return before you even start the trek. Usually the Everest basecamp Trek takes 7 to 10 days, so the entire trek can take up to 25 days if you are not taking the Flight from Kathmandu to Lukla. Every season has its own beauty, and nothing can go wrong when it’s the beauty of the nature with mountains. Weather and Climate are unpredictable but generally there are two sweet season of a year in this trek such as March to May and October to December. March to May: You can expect light to heavy shower to thunderstorm from Besishahar to Manang and it will not be one of those summer rain, it will be extremely spine-chilling teeth vibrating cold rain with almost frozen gusty wind. You might encounter snow packed trail after Chame and the mountain could be covered by snow from the ground. 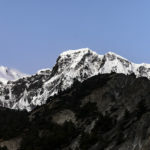 You might also experience snowfall after manang and the Thorong La pass can be completely covered by snow. October to December: It is the cleanest and clearer season of the year. Trekkers with less experience should chose this season as this is will be little warm and hustle free. Trekkers who are passionate about photography must take this season. December will be very cold, so you have to be very well prepared. It does not mean that the other seasons are bad, they all have their own beauty, especially January to March is great for those who are in yearly holidays and it’s almost as good as the October season. 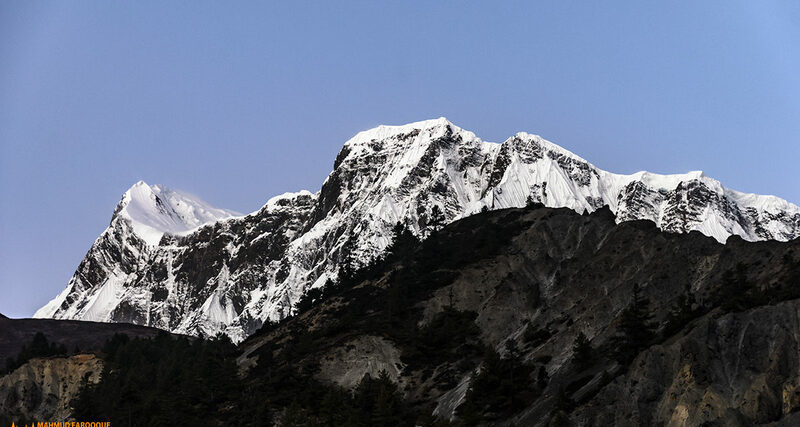 What will be the best preparation for Annapurna Circuit Trekking? This is like any other high-altitude trekking with least -5 to -20 degree C temperature preparation. Must have multiple synthetic full sleeve inner, couple of fleece, down jacket which can sustain -20 degrees and a windbreaker. A good comfortable trekking boot will be great and waterproof trekking boot will be awesome on snowy season. If the valley and the slope covered with snow especially around Thorong La pass then a good trekking boot will need to be plugged in to a crampon, so it’s useful. Trekking pole is always handy when you are in a narrow path on a slope on a snow-covered trek. Above everything you will need a comfortable and least 55L hiking backpack and comfortable hiking boot (water resistant will be great). Do all lodge have electric power and WiFi ? Most of them are and some them doesn’t, but that relates to another topic that will explain which type of lodge / guest house / cottage you should get in, that will we discuss after this. Most of the lodges have Electric Power which you can use to recharge your phone and camera batteries with or without paying. And for WiFi, there are lot less but you have to search for the lodges which has those and they actually put a WiFi sign over their Doors, Main Gates and Signboards. Where should I stay and which is better? There is a popular myth for Annapurna Circuit Trek is that if you take the lunch and the dinner then you will get the night stay for free and it is TRUE. You have to put your expectation moderately minimum. Most of the lodges as high-commode, gas powered hot shower, comfortable and clean blankets with decent meal. Now how to find the lodge that you are looking for? Well you have to set some parameter for your search like I want to stay in a lodge which has WiFi, then you have to look for the Lodge which has WiFi sign on it and please don’t get fooled by that because sometimes their WiFi don’t work. So first please check what you are looking for, maybe have a test run and then get in. For those who are looking to stay free with just eating lunch and dinner, you have to ask the lodge owner humbly respectfully about that. Please don’t just start bargain at first shot! Introduce yourself and try to be friend with them, greet them and have a chit-chat before you spell the beans. You might get a WiFi lodge for free staying if you just convince them, remember it just does not work like a Retail Price. Few years back a female lodge owner was chasing a tourist to beat up because she became so angry that the tourist asked to stay free. That video was viral in the telegraph and it’s true. So please be humble and friendly with them before you ask for the favor and don’t get me wrong it does work 100% all the times. Ok, so which lodge is the best value according to the bucks? Usually the best lodges stays at the end of the village. So don’t just fall for the colorful and all the WiFi sign. Please hang around and see what are the options and usually free staying for food type lodge are situated near the end of the village. How much for charging phone / battery and using WiFi? Usually 10 to 50 npr per charge and wifi may be 10 to 100 npr per hour. Remember charge get higher as well as food after manang. Do I need any guide or porter? Not really, because you can do this trek solo with Permit and TIMS from ACAP office at Kathmandu, Pokhara or Besisahar (Besisahar is the most convenient place to have it because you will start your trekking from here) and if you can carry your own backpack as if you are an experience hiker / trekker then you should not. Else if you think you will only carry a daypack and take photos and carry your expensive camera gears, then you can use a guide come porter (same person) to carry your backpack and you will be like a free as a bird. Is the trekking trail so easy to follow? Absolutely, just start from Besisahar and think about a story or start singing your favorite songs and you will be there to your next destination in no times with absolutely zero hustle. For experience hikers / trekkers their natural instinct will lead their body automatically. There are few side trails that are for trekkers and main trail is for the 4 wheelers. Please revise the google map at the top and see where you can follow the trekking trail and you must follow the trekking trail if you don’t have issue because the view is nicer and you will be much close to silent nature. Where to get the TIMS and Permit? For solo trekker you must need Annapurna Conservation Area Permission (ACAP) Permit and a TIMS (a value less insurance for trekkers). 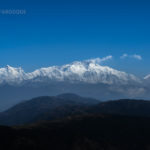 You can have these from Kathmandu or from Pokhara but the most convenient way would be doing it from Besisahar because that’s where you will start trekking and that the starting point. Should I need a Sleeping bag? No and Yes. All the lodges provide clean blanket and if you want you can have Double and for some extreme condition you can get triple. That should be good enough for you if you put your thermal gears on and then get in to the blanket. But there are some lodges especially after manang where you may find the blanket and the Pellow are not the level of expectation of cleanliness. Either you can ignore or you can have a down sleeping bag with you. Remember temperature may fall sometimes -20 C and below, so down sleeping bag is necessary. Can I rent sleeping bag and down jacket? Off course and yes. You can do this from Kathmandu / Pokhara and they will keep an advanced money and give you a receipt which you must keep with you to get the return money. Usually 70-100 npr per jacket/ sleeping bag. How to prevent myself from Altitude sickness? To prevent getting Altitude sickness which also known as acute mountain sickness (AMS) you have to go slow and it works always. You are not in any competition and your running out of days and plain ticket never even worth any portion of your life that you are living breathing perfectly. Having 5 step and relax a bit and another 5 step could be a normal hike after Manang and please don’t feel anything at all of who is thinking what. The amazing thing is that your body will automatically adjust the speed of your hike. So if you start slow and steady like 5/10 step and rest a bit and don’t let the palpitation gets you then you will be just fine. For extra precaution you can start taking onion garlic soup from Upper Pisang (for high trail) or Manang till Muktinath and it works most of the time. It is recommenced that you should not gain more then 500m each day and that means the altitude you had when you wake up from the sleep and the altitude that you will get when sleep again. It is for going higher altitude only, to descend there is no limit. While you are in full conscious you can gain as much altitude as you can as we all do from the final camp to summit, but we do not stay at the summit and usually come back lower from there the final camp. This whole thing can get worse and might get to high altitude pulmonary edema (HAPE) or high altitude cerebral edema (HACE) in no time, which both are fatal and could cause instant death. These can only be cured by immediate descent to lower altitude or oxygen administration. Chronic mountain sickness is a different condition that only occurs after long term exposure to high altitude. There are several signs that could ring the bell for these Altitude Sickness. First of all you will start having headache that you have never felt before, even if you are a regular Migraine Patient. Usually we have headache comes around the head circularly but the Altitude Sickness headache will come from the center of your head and will start biting you around and the sign is you will tell yourself that you never had such kind of headache. While this is happening you mush stop, sit down and rest if you are in the middle of a steep trekking while your group buddies are going ahead of you. Drink water and relax for least 5/10 minutes or more. If you feel good then you can start hiking again but remember, this time you have to go slower. If it comes again then you must stop and call your guide of group buddies and make a descend plan to nearest lower camp / village. But if you are all alone solo, then you have to start descend immediately to the nearest lower camp / village. Farther more if the headache you are sustaining and not telling anyone and at some point you are feeling vomiting then that is last thing you would want to have for yourself in this trek. Just let your trek mates know and descend immediately no matter what position of the trek you are in. And if you already start vomiting then it’s the end of your journey. CAUTION: Do not let the one who is descending to go alone. He / She must have someone to accompany with. How to reach Besisahar from Kathmandu? Several ways. You can reach out for tourist bus in Gangabu Tourist bus park. But you have to be there very early like around 6 to 7:30 AM or you can visit the bus stand day before and check for advanced ticket. Or you can reserve a 3 seater taxi that will take $80/$100 USD from Kathmandu to Besisahar. Can we use Jeep to get Manang or Chame from Besisahar and how much that could cost? Yes and usually they charge per person from besishahar to Manang 2000 / 2500 npr and for chame give or take 500 / 700 less. But you have to hard bargain on these because they could ask for double upfront. Is it worth going via jeep or I will miss the world ? Kind of yes and no. 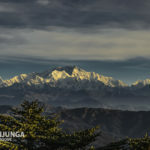 If you are visiting the trek during rainy season then you can avoid all the hustle via jeep because you won’t be seeing much in the horrifying mountain stormy spine chilling deadly cold rain even if you are trekking with all the protection. But that’s the thrill that you are going to miss plus the rain don’t stay always and even if it does stay, you will still find yourself some real positive challenge that you are after because after all high altitude trekking is not for a cozy fun. Else other then the rainy season like from June to September, you must not take the jeep unless you have a time shortage. How to get Safe Drinking water in the Trek? Well, there are several safe drinking water plant in this trek. The thing is Backpackers usually tries to reduce the carrying weight and most of the times they carry more or less 1.5 liter of water and that is never ever good enough to reach from one safe drinking water plant to another. The two popular ways to purify drinking water in this trek is to use water purify tablet and the other one is using a portable water purifier which you can buy it from amazon. But there is a twist! When you stay in a lodge / cottage and check out their kitchen you might have some other ideas. Usually local people collect water from the nearest stream that ran out from mountains and it is a common thing that the population grows inside these areas are usually based up on the water sources. They store these water in a tank and use it for everything. Now the point is that you take the local water anyway via dish washing, food, tea, coffee, juice etc. So if you want to be extremely strict about water then you have to do this trek like an alpine / camping style where you will do everything on your own so you can use the purified water on everything if that mean safe. Water that coming out from stream is actually the purest mineral water you can get but it depends on how they are supplied and store. So you can take two option here. You can use either of the above two solution to purify your drinking water and lets not worry about anything at all OR you can actually try to be like the locals, eat what they eat, drink what they drink and need not worry about anything. Where can I find ATM booth and withdraw limit? ATM booths are available around Kathmandu and Pokhara. There are few booth in Besisahar and Jomsom too but we would strongly suggest not to leann on then because every now and then they are out of cash and it takes time to refill. Nabil bank would allow withdraw instantly 35000 NPR per day while rest of the bank may limit for 10000 NPR per day. In Nepal, Indian Rupee also count but the value is less from the dollar exchange. Some of the trekkers thinks that keeping few USD might be safe to save for any incidence but that is not true. Money exchanges are hard to find and the rate are high and there are few in Besisahar and Jomsom. It would not be a great wonder if you find both ATM and Money exchange are closed or out of service or lake of cash in Besishar and Jomsom. So, it’s better to prepare from Kathmandu / Pokhara to Pokhara for the financial plan. How much would it cost in the trek? There are not static margin for this as living cost will only get higher around here so does the cost of trekking too. Very recently the TIMS and PERMIT cost get higher then ever also everyone must include their insurance with health certificate (could be obtained from each native country). Generally on the trek it will cost nearly $15 USD per day including meal and staying and that’s the minimum. At higher altitude after Manang a plate of Daal vat may cost around 700 NPR. If you are a budget trekker then you can end up well inside the $15 USD limit. There are hotel charge ar Kathmandu, bus fare from Kathmandu to Besisahar ar from Muktinath to Pokhara that are not among the trekking cost, $15 is the minimum lest budget from where you start to trekking and where you are off to Jeep or fly to Pokhara from Jomsom. There are multiple starting and ending for this trek. The most popular and authentic start is from Besisahar and end could be anywhere from Muktinath. A) Start trekking from besisahar. B) Jeep ride from Besisahar till Syang. C) Jeep ride from Besisahar till Chame. D) Jeep ride from Besisahar till Manang. B) Trekking from Muktinath to Kagbeni then trek down to Jomsom. D) Trekking from Muktinath to Jomsom and advance till Marfa village. F) Trek all the way from Muktinath to Beni following the Kaligandhaki river (longer days but most enjoyable).